THESE CCTV images have been released after £1,000 was stolen from a garage’s office. 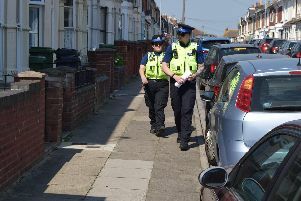 Hampshire police said a burglary was reported at Mews Garage, in Clarence Road, Southsea, at about 1.40pm on July 27. No further details have been released but police want to speak to the man shown in CCTV images. Anyone with information should call PC Stacey Kirby on 101, quoting 44160280522.